Since the days of Grand Theft Auto III the series has done nothing but exceed expectation and drive the free-roaming genre forward. Since then other developers have tried to copy, expand upon, and pay homage to this incredible franchise – and Rockstar North has been right there with them. 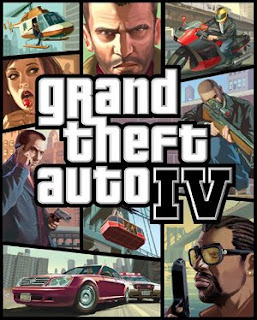 With each successive title the GTA series has continued to evolve into something more action packed, more expansive, and - with the release of Grand Theft Auto IV - more cinematic. Just like its fictional New York City backdrop, presentation is everything here in Grand Theft Auto IV. From the beginning of every cutscene, to the middle of every firefight, to the end of every car chase, each action-packed moment in this title has been planned out to give the most bang for your buck. And while this new level of detail does make for good storytelling, it has also transformed this sandbox series into a narrative roller coaster. Given this new direction it was difficult to ignore the man behind the curtain. Every daring moment or narrow escape you pull off loses some of that rush when you realize that it happened by design instead of by chance. For instance, early on you’ll find yourself mixed up in a street brawl with some loan sharks who are after your cousin. After dispatching the thugs, a car chase will ensue, during which a garbage truck will pull out in front of you, thus forcing a narrow escape down an alleyway. Now, let’s say you failed that mission and you’re looking to mix things up a bit by messing with the game the second time around. You spot the getaway car parked outside of where the mission begins and decide to pin it up against a tree with your own car so that the fleeing loan shark won’t have a set of wheels to make his daring escape in. It seems like a good enough plan until you start the mission and everything pertaining to that mission is reset. The mission starts, he makes a dash for the car, and there it is waiting for him as if you never touched it. This will become a recurring theme throughout the game – try to wreck an important car and it gets reset, try to take out a key character too early in the mission and he’s invincible. The game has these great cinematic moments planned out of you, and by golly you’re going to enjoy them, no matter what. Perhaps I wouldn’t mind so much if the game would mix up the formula a bit. Starting a mission continues the repetitive cycle: go to point X, kill Y number of guys, and chase down target Z. If the mission is to take out target Z, then just let me kill that guy! Allow me to tackle that mission in the style of my choosing, be it a stealth kill, full-on assault, or a sniper attack, instead of just leading me down the same predetermined path every single time. For a series that made its fame by being so go-anywhere-do-anything, this latest installment feels incredibly linear; you go where the game tells you to go, do what it tells you to do, and any deviance from such will usually result in mission failure until you do it right. Perhaps in their pursuit to make this title a more sophisticated experience, Rockstar North lost track of their signature sandbox design. Grand Theft Auto IV is a step in a new direction for the series and it will be interesting to see where they take it from here.